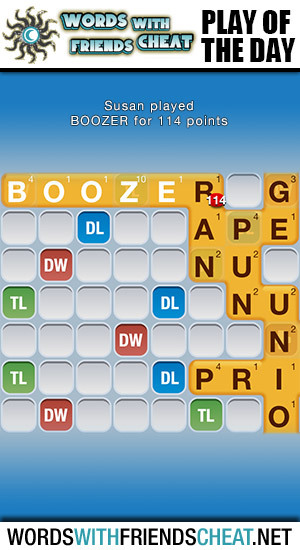 Today’s Words With Friends – Play Of The Day is BOOZER (114pts) and was submitted by Words With Friends Cheat user Susan. Susan was able to construct a 114 point word only using five letters. You don’t see that every day, but when lay a “Z” on a triple letter anything can happen. Her play also incorporated a triple word and another triple letter tile.